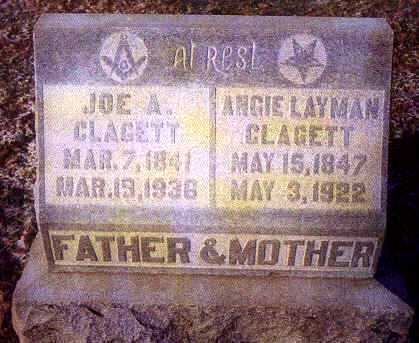 Joe A. Clagett was born on March 7, 1841. 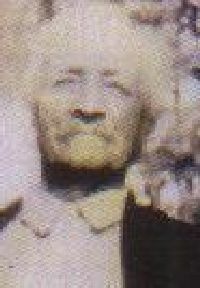 He enrolled in Company E on October 28, 1861 and was mustered in on January 4, 1862 in Calhoun for a three-year enlistment. He was discharged on Jan 23, 1865 in Louisville. He was transferred to Company I in the consolidation. His home was Leitchfield, Kentucky. 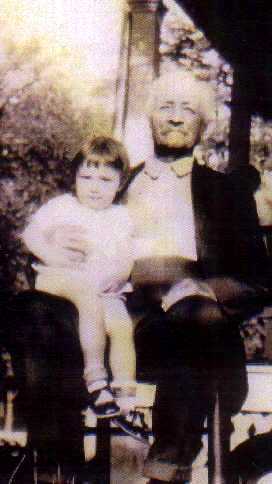 He was married to Angie Layman (May 15, 1847-May 3, 1922) He died March 19, 1936 and is buried in Walnut Hill Cemetery. Joe Clagett with Great Granddaughter - Cahterine Clagett. Summer of 1915 at the home of JA Clagett Leitchfeild, Ky. Mrs Lydia Larkin Indianopolis, IN; Frank Clagett, Pasedina, CA. 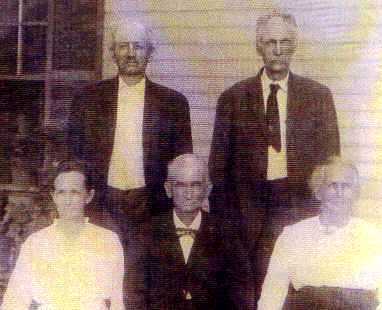 Mrs Sarah Day, Leitchfield, KY. Backrow: Joseph Atchinson Clagett (JA) and Tom Clagett, Central City, KY. Three brothers and his sisters in this group.